Traceps was founded in Durban, South Africa in 2008, and has since established itself as the nation’s leading debtor tracing company of accurate, in-depth investigative and debtor tracing data. The Traceps database consists of over current and historical, cross-referenced public records to ensure that your search is true and complete every time. Traceps provides data solutions and services to a variety of entities, including investigators, tracing agents, debt collectors, law firms, and more. Traceps pioneered social network search by establishing links between individuals and their known associates. By creating these links, and utilising cross-referenced data within its extensive database, Traceps has developed a diverse range of product and service offerings. 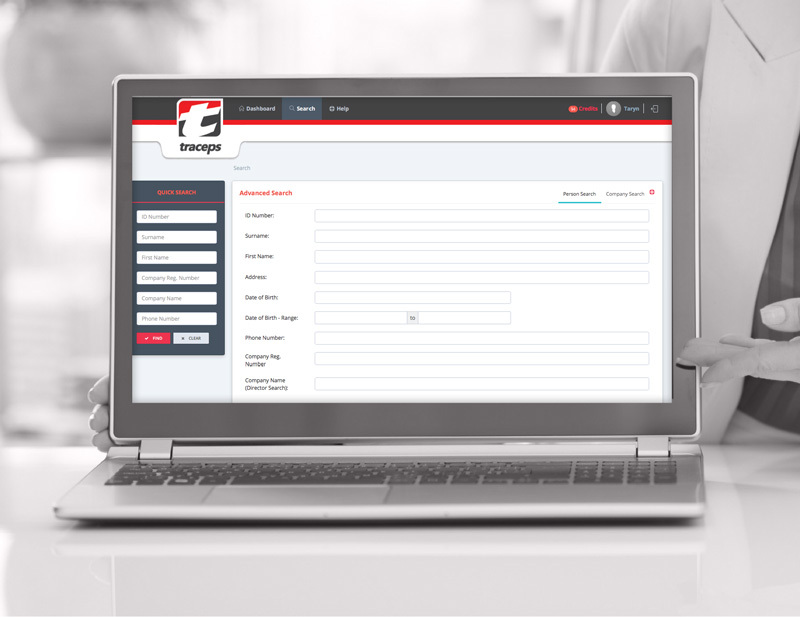 Traceps’ online product, Online Debtor Trace, provides further enhanced functionality to enable you to easily access a contactable, connected and traceable market. Using data-centric intelligence to create links between humans and objects, we provide tailored solutions to your business needs. debt book assessment, dataset profiling, fraud prevention and risk management solutions.